Beloved Batman artist Norm Breyfogle—whose shadow-clad version of the Dark Knight loomed over Gotham City for most of the 1990s—has died. Although he worked for both major comics companies over the course of his career (and also as an illustrator, poet, novelist, and more), Breyfogle is most closely associated with defining the look of Batman in a post-Frank Miller era, creating a version of the character that emphasized the lithe physical prowess and psychological torment underpinning the man beneath the cowl. Born in Iowa, Breyfogle had already started drawing attention for his skills as a cartoonist before he was even out of high school. 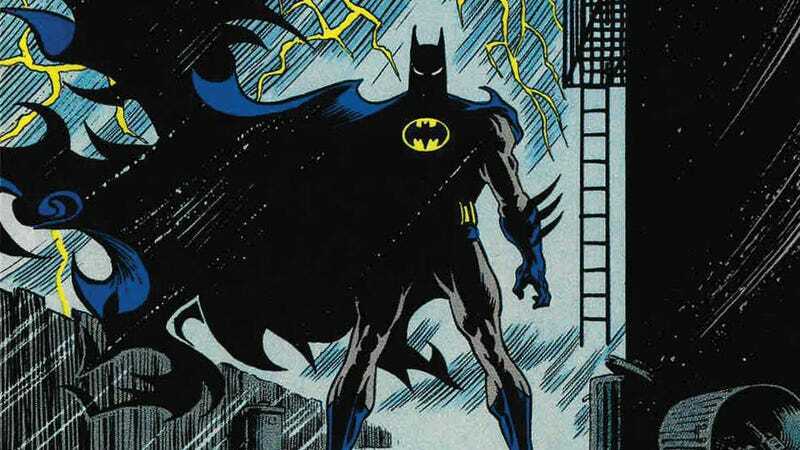 After working for a few years with smaller companies like First Comics during the 1980s, Breyfogle scored his first big gig in the late ’80s, teaming up with writer Alan Grant for a defining role on DC’s flagship title, Detective Comics. Breyfogle would spend the next decade bouncing around the various Bat books, including Batman itself (where he helped introduce the world to the Tim Drake version of Robin), and then to the darker Shadow Of The Bat, where his sneering, tormented Batman perfectly complemented Grant’s scripts. Various comics artists, professionals, critics and fans have flooded onto social media over the last few days to share their favorite pieces of Breyfogle’s art and commemorate his life in the wake of his death, which occurred over the weekend. He had previously suffered a stroke in 2015, launching a crowdfunding campaign to help cover the exorbitant medical costs. He was 58.